It is a requirement under Article 14(2)(h) of the Fire Safety Order that the person responsible for a premises ensures adequate emergency lighting has been installed. 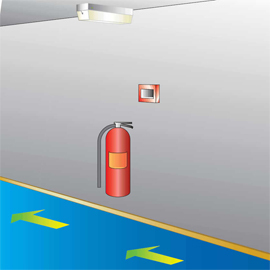 The law requires that emergency routes and exits requiring illumination must be provided with lighting of adequate intensity in case the main lighting fails. The system must also be maintained in an efficient state and in good repair under Article 17 of the Order. Our team of fire safety experts are capable of installing a range of systems of varying intensity, dependent on requirements. Prior to beginning the installation process we will conduct an assessment of the property. We will identify potential risk areas, and provide you with a comprehensive emergency lighting system design. We are also capable of maintaining your building’s emergency lighting system, ensuring it is kept in full working order. 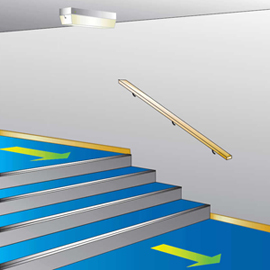 If a fire breaks out in your premises, a fully functioning emergency lighting system can facilitate a quick and safe exit, and could save lives. For a competitive quote or to speak to a fire safety expert regarding lighting installation and maintenance, or any other aspect of Fire Protection in the West Midlands call us on 0121 457 8484.